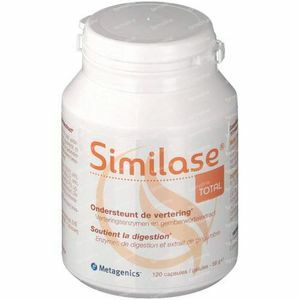 Similase Total 120 capsules order online. In order to live and function, we need food. This food needs to be transformed by our digestive system into nutrients that can be absorbed and used by our body. This process starts the moment we smell the food that lands on our plate, until many hours later when the food has been chewed and entered our body. 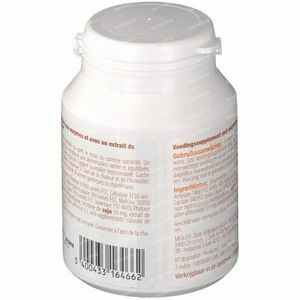 Most of the enzymes that we produce ourselves are only optimally active in a very specific acidity level. Thank to the enzymes we can get the maximum amount of energy from the food and prevent that undigested food stays in the bowels. 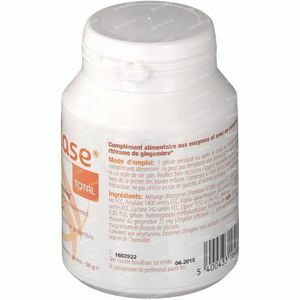 This digestive action can be supported by extra digestionenzymes. -Regardless of the enzymes being microbiological derived, they do not contain any microbiological residue and are thus a pure and clean product. 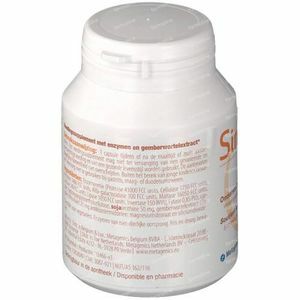 -Similare is also available in bisterpackaging (15 capsules), easy to take with you. 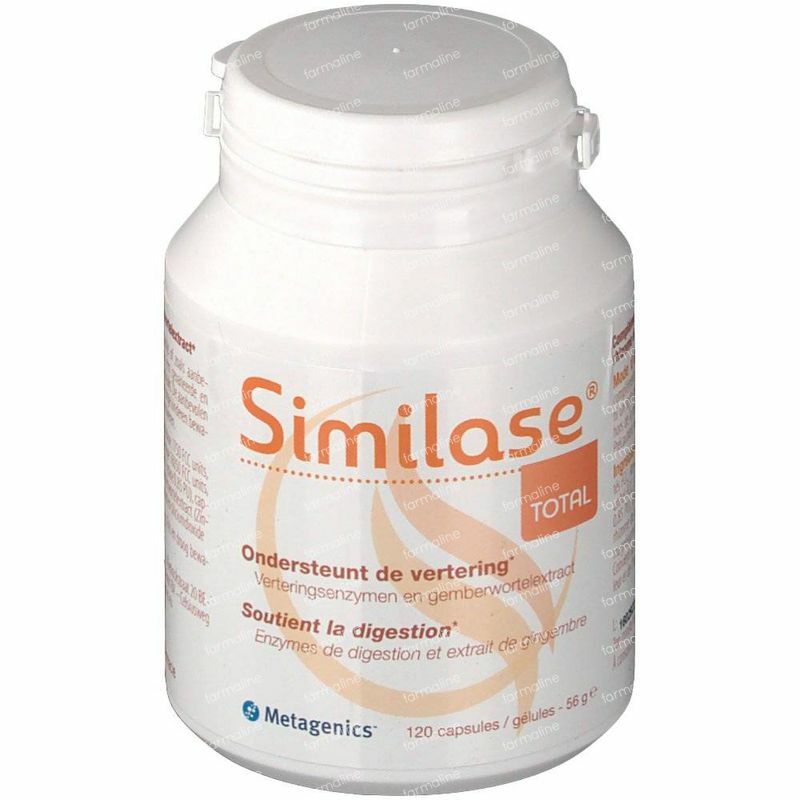 Broad spectrum of digestive enzymes (fats, carbs and protein), Similase® Total also contains gingerextract to support digestion. Do not use in case of gastritis, gastric or duodenal ulcers.